Today a nice, little Arduino Shield arrived. 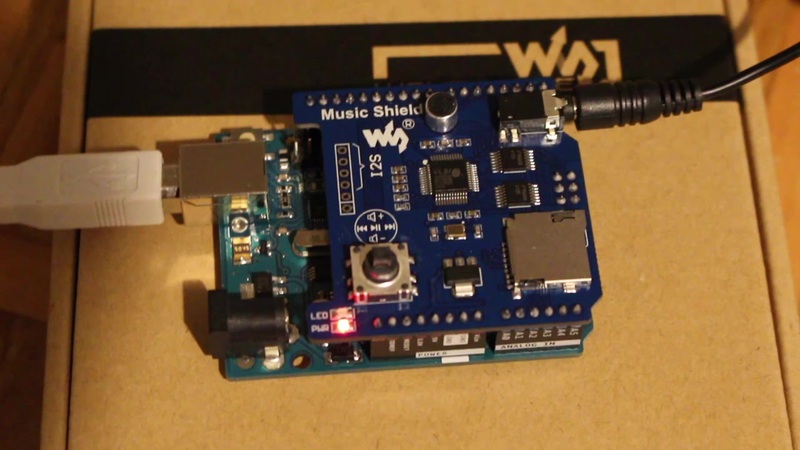 The Music Shield from Waveshare. It comes with a VS1053 – Ogg Vorbis / MP3 / AAC / WMA / FLAC / MIDI Audio Codec Chip on board together with a lot of other hardware features like micro-SD support and Audio out for headphone or speakers. So I’ll use it for a micro version of my graped piano. The full version will still have my Odroid-C1+ with HiFi Shield.